Home Expert Advice Skincare Advice Basic Skin Care Tips Do Women of Color Need Special Skincare Products? 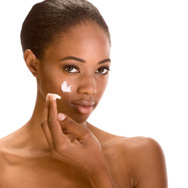 It surprises many people when they learn that darker skin tones do not require special skincare products. It seems contrary to what you would expect, but the fact is skin color is not a skin type! None of the research indicates that skin color has anything to do with the skincare products you need. It's not that darker skin tones don't have some physiological differences from lighter skin tones; it’s just that those differences don't impact what products you should be using. We think you’ll find this information fascinating, and as always it will help you find what everyone needs to have healthy, beautiful skin—regardless of their skin color. When it comes to skincare needs, skin is skin—no matter the color. Think of it like your diet: Regardless of our ethnic background, we all need the same nutritious foods that supply antioxidants, vitamins, and omega fatty acids to be healthy. The exact same concept applies to skin. Skin is the body’s largest organ, which is why everyone’s skin needs the same helpful ingredients to address issues like dry skin, clogged pores, signs of aging, sun damage from unprotected sun exposure, uneven skin tone, oily skin, sensitive skin, and so on. All of those problems affect every ethnicity in the same way with only minor variations, but those variations don’t affect how you take care of your skin. It is also important for everyone, regardless of skin color, to avoid problematic, skin-aggravating ingredients such as SD and denatured alcohol, menthol, peppermint, eucalyptus, lemon, lime, and natural or synthetic fragrances as well as scrubs and stiff-bristled cleansing brushes. Exposure to these skin-provoking ingredients will exacerbate any skin problem you have or create skin problems you don’t want. Bad products and unhelpful ingredients don’t care what color your skin is! These are the universal basic needs for all skin types regardless of ethnic background or skin color. This is the essential diet everyone’s skin needs, just like everyone’s basic diet for a healthy body has the same food group needs. Always use a gentle, water-soluble cleanser (avoid bar soaps; they are too drying, can clog pores and cause skin to look ashy and feel dry). Always choose products that are appropriate for your skin type (i.e. gels and serums for oily or combination skin; creams and lotions for dry skin). Always use a well-formulated sunscreen during the day (the most typical cause of uneven skin tone for women of color and the appearance of signs of aging is sun damage). Always use products loaded with state-of-the-art ingredients including antioxidants, skin-replenishing ingredients, and skin-restoring ingredients. How is African-American Skin Unique? Although basic skincare needs are the same for everyone, there are some concerns that darker skin tones are more likely to experience. Those include ingrown hairs, certain depth and types of uneven skin tone, darkening of skin, and specific types of stubborn marks and raised flaws that stand out from your natural skin color. These concerns may require special attention, but none of that changes the universal daily skincare need everyone has. Research shows that the only notable differences between darker skin tones and lighter skin tones aside from the actual color of skin is some amount of skin thickness, decreased presence of ceramides (ingredients that keep skin smooth and intact), and the degree to which unprotected sun exposure impacts skin. There’s also research showing that darker skin tones react somewhat differently to acne breakouts; however, the treatment for this concern remains the same as it does for lighter skin tones, and that includes routine use of leave-on products containing benzoyl peroxide and salicylic acid. Having darker skin color does have an advantage over lighter skin tones because darker skin color does offer some amount of protection from sun damage. Essentially, the darker your skin tone, the more natural defense your skin has against the sun. However, this doesn’t mean darker skin tones are not at risk in the long term for the same problems unprotected sun exposure causes those with lighter skin tones. Sun damage is sun damage and it’s cumulatively destructive for everyone—the difference being how soon it shows up in the mirror. Applying a broad spectrum sunscreen 365 days a year, rain or shine, is as basic as it gets to having beautiful, healthy skin. Even if you’re inside all day, the silent but skin-damaging UVA rays of daylight come through windows. Sun damage isn’t pretty for anyone. Uneven skin tone, early signs of aging, rough skin surface, dry skin, mottled skin, and loss of firmness will occur for everyone if skin isn’t consistently protected. Having the best skin of your life truly starts with sunscreen. Believing darker skin will somehow protect your skin from visible damage is dangerous thinking. No matter what skin color you have, it can absolutely be damaged by the sun. We repeat: Everyone needs to apply and reapply broad-spectrum sunscreen every day of year. Skin Research and Technology, May 2010, issue 2, pages 168-178.